Downtown Savannah is one of the largest National Historic Landmark Districts in the entire country. 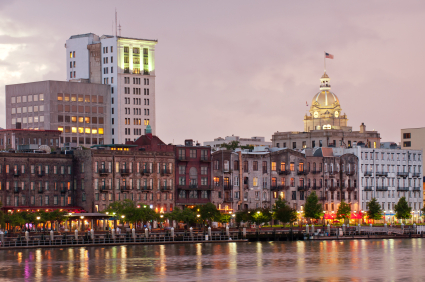 With a rich history and plenty of Southern charm, Savannah, Georgia, appeals to both vacationers and active adults looking for the best place to retire. The area is known for its beautiful architecture, subtropical climate and numerous cultural attractions. It has distinctive shopping districts, mouth-watering restaurants, challenging golf courses and everything else needed to support an active adult lifestyle. Savannah’s Coastal Georgia location lies within close proximity of beautiful beach destinations and popular resorts, like Hilton Head, South Carolina. Just 20 minutes from the city, Tybee Island is one of the area’s most popular beaches. In fact, it’s so popular that it is often nicknamed “Savannah’s Beach.” Nature lovers will also enjoy visiting nearby Wassaw Island. This barrier island is only accessible by boat, but its tranquil National Wildlife Refuge is a great place for birdwatching and relaxation. The Savannah area has a subtropical climate which is great for active adults who love hot summers and mild winters. During the summer months, the weather is humid and damp with many thunderstorms. Average daytime temperatures are in the low 90s, although temperatures over 100 degrees are common. Winters are relatively mild with days typically in low to mid-60s, and lows that only occasionally drop below freezing. The area can experience a small amount of snow, but it is rare. American history buffs will particularly enjoy exploring the Savannah area. The downtown area features one of the largest National Historic Landmark Districts, including the Savannah Historic District and the Savannah Victorian Historic District. The city was also developed with nearly two dozen park-like squares scattered between residential and commercial areas. With so much to see, visitors can ignite their imaginations while exploring historic homes, churches, cemeteries and forts. The Fairways at Savannah Quarters is a golf course community just 12 minutes from downtown Savannah. Beyond its historic sites, Savannah offers plenty of modern-day attractions. Numerous performing arts venues offer concerts, plays, festivals and other live entertainment. Both visitors and locals alike can browse the local art at Universal Trading Post on Franklin Square, listen to fun music at the Savannah Smiles Dueling Pianos Saloon, or head to the ball park to cheer on the Savannah Sand Gnats. Southern cuisine is also an important part of the city’s culture, including tasty regional fare at local favorites like Alligator Soul, Cha Bella and Lulu’s Chocolate Bar. Active adults who love the hot climate and historic beauty of the Savannah area may decide it’s their perfect retirement destination. The region is close to beaches, golf courses, natural beauty and urban attractions. 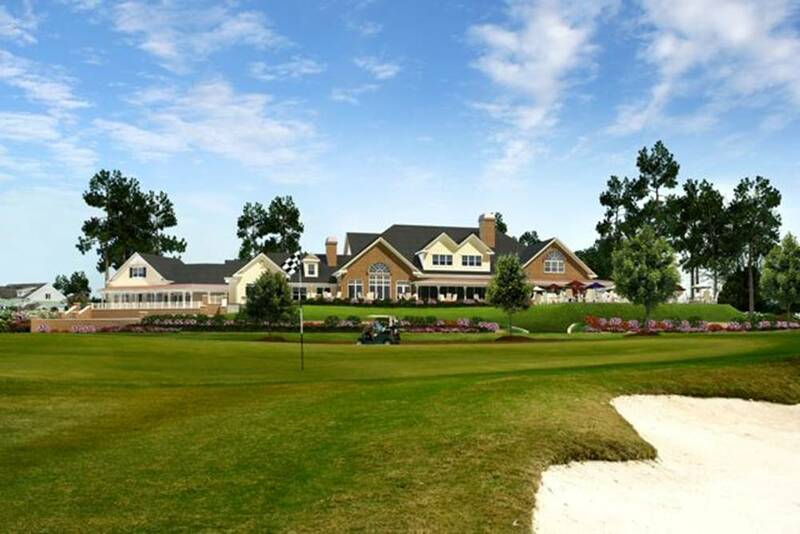 Those who want to live outside the city, may choose great suburban communities, such as The Fairways at Savannah Quarters in Pooler, Georgia. When determining the best place to retire, the Savannah area has many features which appeal to active adult homebuyers.